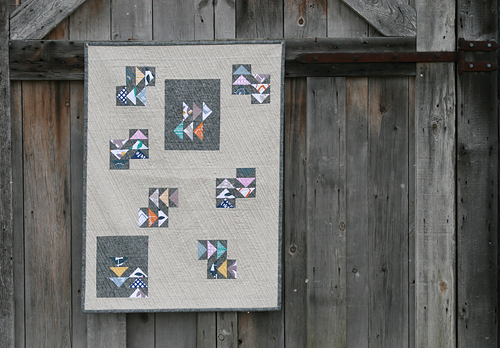 I finished my Glimma quilt just a couple of hours ago and I am pretty proud of myself for braving the frigid cold outside to get pictures! It helped that my car has heated seats. And I think it's actually 20 degrees which feels like a heatwave after the sub-zeros from the last two days! 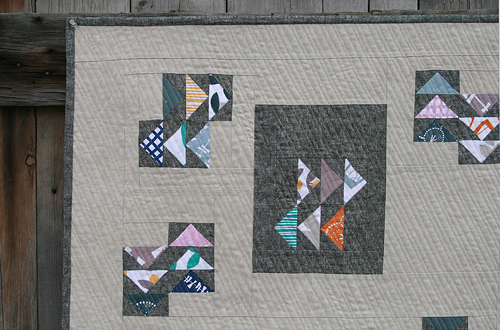 I've decided to call this quilt "This Way, That Way". I love the effect of the flying geese going in all the different directions. As I mentioned here and here, Windham Fabrics sent me a little pack of charms from Lotta Jansdotter's upcoming line Glimma, due out in April. I decided to mix it with two shades of Essex Linen - yarn dyed in black and flax. 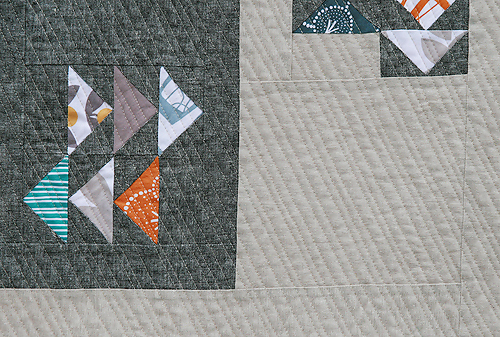 Paper piecing the flying geese made working with the linen quite easy. When it came to removing the paper and sewing everything together however, I really relied on starch. It stiffened up the fabric enough to make it easy to work with, not stretching all over the place. I quilted this with diagonal lines, randomly spaced. They are each between 1/4" and 1/2" apart. I bound it with the Yarn Dyed Black Essex Linen. The back is a Moda Crossweave in a coral color (not sure the exact name). It measures 30" x 40". 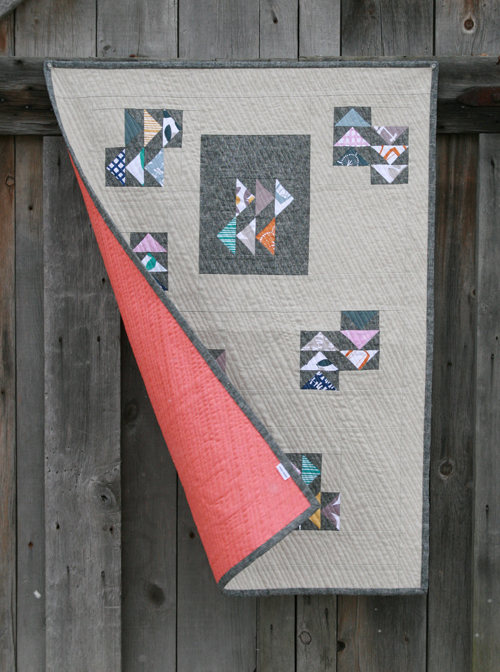 Have I mentioned that I'm actually going to get to meet Lotta at QuiltCon? I signed up for her Textile Printing class and I can't wait! Is anyone else taking it? And speaking of QuiltCon, I am honored to have two quilts selected to be displayed, my Off Centered Improv and my Belle Wave quilts. I'll be spending the next week getting them ready, sewing hanging sleeves, labels, and packing them up to ship. Fun, fun!